When I install the linux JuceOPL VSTi (by dropping it in the it scans properly (and other VSTs show up) but OPL ends up selectable as an effect rather than an instrument. Seems to work here under Linux. 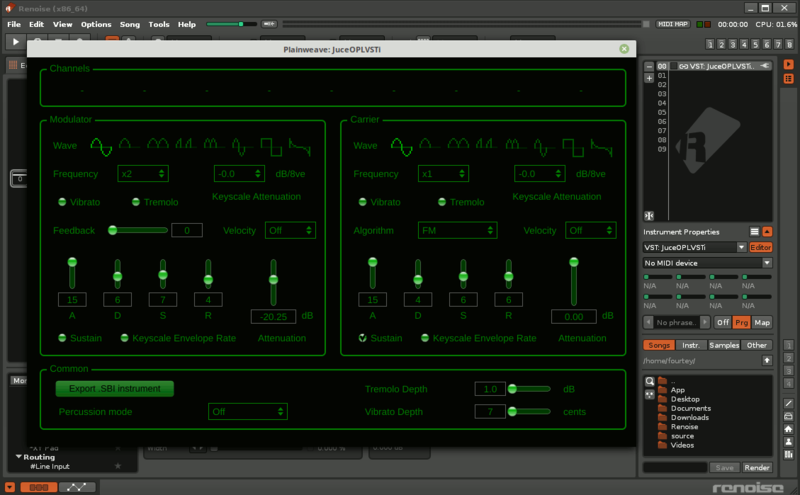 I’ve just copied the juceoplvsti.so into my ‘vst’ directory. Interesting. I’m using “JuceOPL.so” with an MD5 sum of 5a70ddab9030979ea6d3f4b1c8b034c1 (the 64 bit one) which I downloaded from https://distrho.sourceforge.io/ports.php. I’ll try and build it myself and see if that clears it up. Yes, that version that I show could be an older (or newer IDK) version compiled as a VSTi. 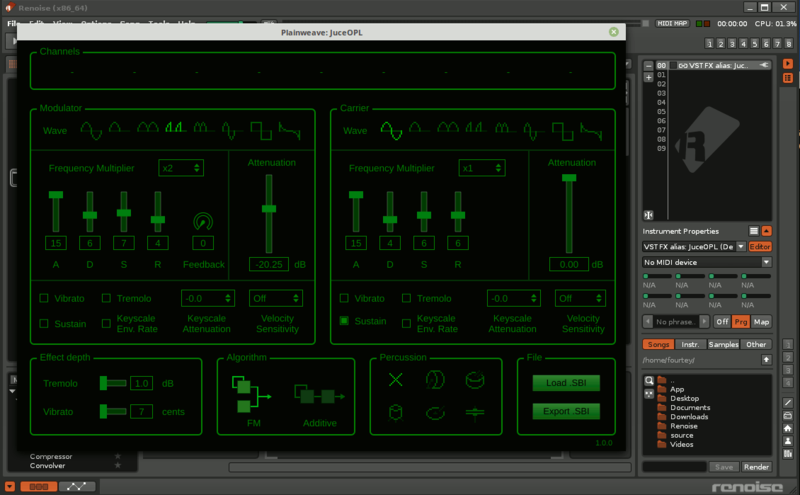 Seems that the version you linked to is possibly compiled (option/modified source) as a VST effect(?) Technically you could still use it because you can put the effect into a track, and under the instrument properties you can assign it as a VST FX alias to feed it the notes.